Dr. Alan R. DeAngelo earned his BS in biology from the Loyola University of Chicago. While there, he was a member of the Beta Beta Beta Biological Honor Society and the Alpha Epsilon Delta Premedical/Dental Honor Society. He was also a laboratory instructor for general biology, comparative anatomy, ichthyology, Lake Michigan biology, and vertebrate physiology courses. At the University of Illinois College of Dentistry, he went on to receive a Bachelors of Science in Dentistry (BSD) and his Doctor of Dental Surgery (DDS) degrees. 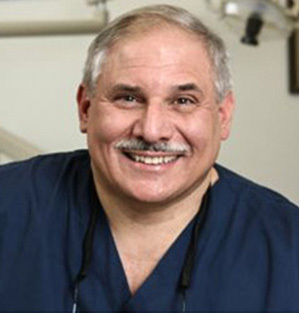 In continued pursuit of perfecting his art, Dr. DeAngelo attends many courses in esthetic dentistry, implant dentistry, endodontics, occlusion (bit alignment), neuromuscular dentistry, and prosthodontics. He has a certification in dental lasers through the World Clinical Laser Institute, and he is Invisalign certified. And, in order to give his patients the best fit possible for their treatments, Dr. DeAngelo utilizes the iTero Digital Impression system. Dr. Alan R. DeAngelo has lived in Homer Glen for more than 30 years with his wife, Sylvia, and their two children. Outside of dentistry, he enjoys reading, writing, fishing, boating, the shooting sports, is an avid aquarist and is very active in a non-profit freshwater conservation organization where he takes a leadership role, including being the 2017 Chairman of the Board. His talents extend well beyond creating magnificent smiles; recognizing his talents, he was asked to join the Editorial Advisory Board of Aesthetic Dentistry magazine. Since 2008, he has been named by the Consumer Research Council as one of America's Top Dentists and has also received the Top Doc Chicago Award.